Do Hyun and Gwan Woo both find evidence that Min Joon Gook may still alive. Min Joon Gook promises to tell his whole story if Gwan Woo agrees to become his defense attorney again. A love story between a couple in their early thirties. It's the story of two people who live in the same era but in different worlds. The drama is about a woman (Bae Suzy) which can see accidents that take place in the future through her dreams. A prosecutor (Lee Jong-Suk) struggles to stop the woman's dreams from coming true. 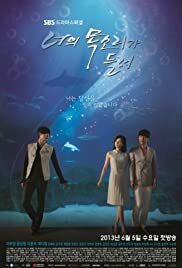 Tae Gong Sil has the ability to see ghosts, but their constant demands of help make her life impossible, until she meets Joo Jong Won, handsome CEO that measures everything with money, since when she touches him, the ghosts disappear. The legal drama centers around Jang Hye Sung, a brazen, sharp-tongued female attorney who says everything that comes to her mind with no filter. When she gets to the point in her career where it's hard to muster up any enthusiasm for her work, she teams up with the serious Cha Kwan Woo, a passionate public defender, and Park Soo Ha, a 19-year-old high-school student with a special ability to hear people's inner thoughts. Seldom she knew that she has a past conncetion with Park Soo Ha. Together, they also must face a killer with a personal vendetta that entwines all of their lives. Can they bring the dangerous man to justice? Maybe it's because I'm watching this one after a while, but for me, it wasn't as great as it is expected to be. Maybe I was expecting too much out of it. The story is okay, with the big case with the vilain and everything, but it gets tiring after a while. The drama uses cliches like amnesia as twists, but overall, it was just okay, with a so so romance, as the characters didn't have chemistry. The cases though were interesting to follow, but often the main story took over and left them in the premisses to fill in the gaps. Now, the performances were okay, especially from the actor that played the bad guy, who was excellent. So, 5,5 out of 10.